September 2, 1666 - The Great Fire of London began in a bakery in Pudding Lane near the Tower. Over the next three days more than 13,000 houses were destroyed, although only six lives were believed lost. The Great Fire started at the Farriner bakery shortly after midnight on Sunday. From there it quickly spread rapidly west across the City of London. 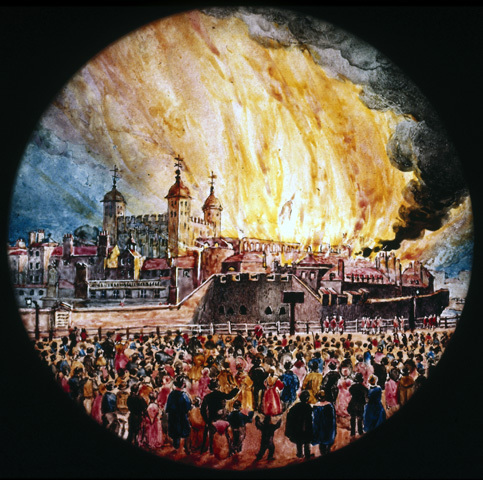 The Great Fire of London would sweep through the central parts of the english city of London from Sunday 2nd. and burn til Wednesday the 5th. The medieval city of London which was found inside th old Roman city was gutted. The fire also threatned the aristocratic district of Wesminster. The fire would consume 13,200 houses, 87 parish churches, St Paul's Cathedral and most of the City authority buildings. In a large nonstick skillet over medium high heat, melt the butter or heat the oil until shimmering. Add the onion and cook until clear. 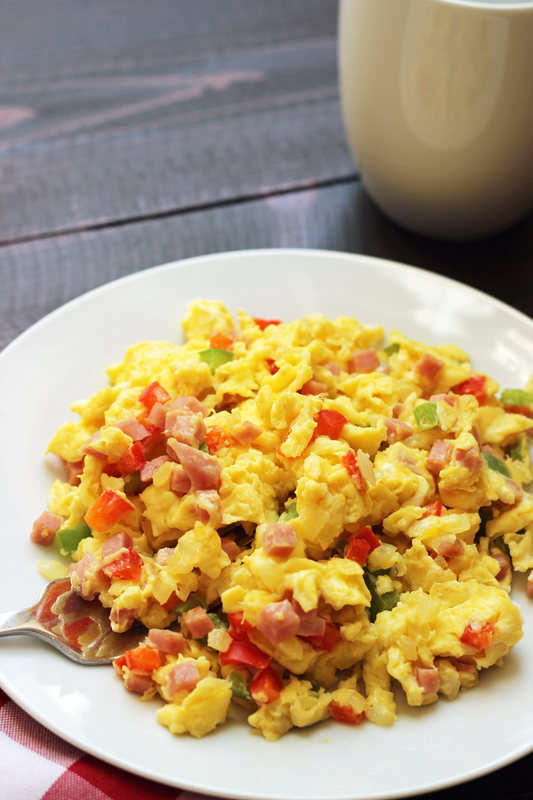 Stir in the ham or prosciutto as well as the bell pepper. Cook, stirring until the mixture is hot. Add the eggs, season to taste with salt and pepper, and cook. Once the eggs start to turn white around the edges, stir the eggs to scramble. Continue to cook and stir until the eggs are cooked to your preference. Serve immediately. Today, like every Saturday before Labor Day, is known as International Bacon Day. This holiday occurs each year. Some may throw bacon parties, others will have bacon tastings and yet others will simply enjoy a day full of bacon inspired meals. * 1) Cook some bacon in a fry pan (about 6 thick strips). Reserve the drippings and place in the fridge to solidify. Mince 1/4 a cup of the bacon. The chef should eat whatever is left to assure that the bacon is tasty. * 2) Beat the crud out of the butter and solidified bacon fat ’till light and creamy. Add the brown sugar and maple syrup and beat well until combined. * 3) Add the egg and beat until incorporated. * 4) Sift the flour, salt, baking soda and powder together. * 5) Add some of the flour and mix, then some of the milk, then continue to alternate the dry and wet ingredients, ending with the dry. Mix until just combined. Fold in the bacon. Taste and add more maple syrup, flour, or milk if needed for desired taste. Keep in mind the maple frosting is very sweet, and to add in very small increments for alterations as maple syrup in large amounts can break a cake batter. * 6) Scoop into cupcake papers and bake at 350 F for 18-22 minutes or until a toothpick comes out clean. Be sure to rotate the pan after the first 15 minutes for even baking. * 4 tablespoons of butter. * 2 tablespoons of maple syrup. * 1 cup of powdered sugar. * turbinado sugar (optional, but recommended). * coarse grain sea salt (optional, but recommended). * Combine the syrup and butter until combined. Add the sugar, a bit at a time, and whip at high speeds until combined. Pipe or spread onto cupcakes. Sprinkle on sea salt and turbinado sugar for decoration and a lot of added flavor. 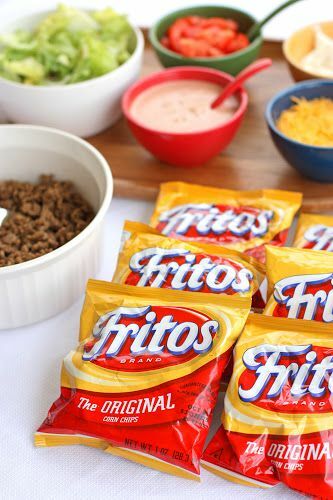 Make up some walking tacos for your tailgate bunch. They are easy to make all you need are individual bags of chips. Any chips from doritos, corn chips, fritos, sun chips or your favorite will work. Crushing the bag slightly will help break the chips into smaller piecs Use your choice of toppings and you ready to much. 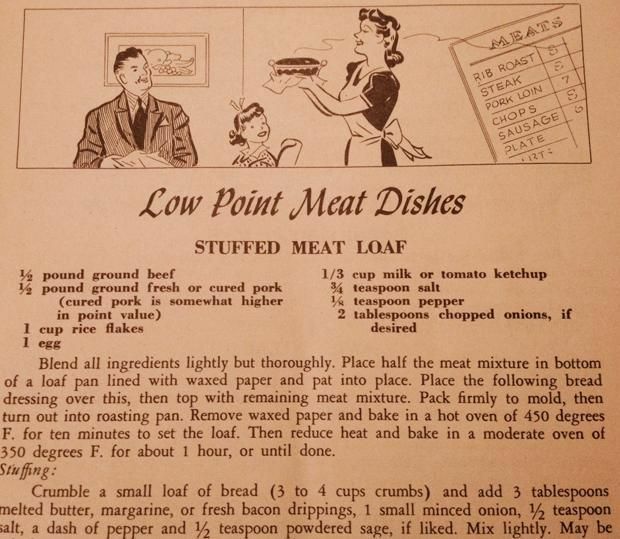 In a large skillet, cook beef over medium heat 6-8 minutes or until no longer pink, breaking into crumbles; drain. Stir in chili seasoning mix, pepper, tomatoes and beans; bring to a boil. Reduce heat; simmer, uncovered, 20-25 minutes or until thickened, stirring occasionally. Just before serving, cut open corn chip bags. 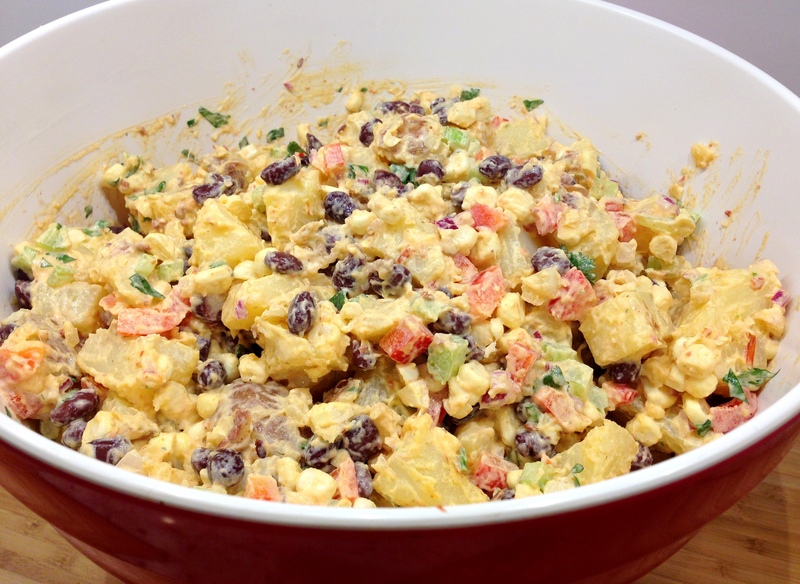 Add beef mixture and toppings as desired. Yield: 5 servings. September 2nd, 1945 would signify the end of WWII. 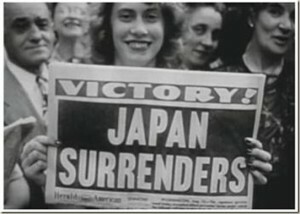 The Japanese would surrender and the date would go down in history as VJ Day. And so on V-J Day (wiki) we take renewed faith and pride in our way of life. We have had our day of rejoicing over the victory. We have had our day of prayer and devotion. Now let us set aside V-J Day as one of renewed consecration to the principles that have made us the strongest nation on earth and which, in this war, we have striven to preserve. and place in a large bowl. offer a friend to help move. Heat oven to 375°F. In large bowl, stir together cookie mix and crumbs. Stir in melted butter until soft dough forms. Press into ungreased 13x9-inch pan. Bake 18 to 20 minutes or until set. Immediately sprinkle chocolate chips over crust. Let stand 3 to 5 minutes or until chocolate begins to melt. Spread chocolate evenly over crust. Do you enjoy chinese take out?? Have you ever attempted to cook it yourself?? It may just be time to do just that. This post shares two great recipes of pan fried noodles and chinese noodles. Mix sauce ingredients and keep nearby. In a large deep skillet or wok, stir-fry the carrots, celery and onion in oil until they begin to brown. Add the cabbage and ginger and stir-fry until the leafy part of the cabbage wilts a bit. Add the chicken/protein, bean sprouts, bamboo shoots, and scallions and cook until the bean sprouts just begin to soften. Re-stir the sauce and pour into wok, stir for a few minutes until it boils and thickens. Toss cooked, drained noodles with sesame oil, tnen season with salt, pepper, and garlic powder. Toss noodles again with beaten egg. Place noodles in serving size piles in a nonstick spray coated nonstick skillet, and cook as you would a pancake, flipping them over when they become golden underneath, when golden on both sides, slide onto a serving plate and top with chop suey. Many adults have heard the words "you need to cut back on your salt intake" The reason is that a single teaspoon of slat has more than the recommended daily allowance of socium for most adults. I can remember going into the grocery store and purchasing "no sodium" salt for my mom when I was a teen. I thought to myself how can that be salt?? But, to mom it was and that is what she wanted. There are other things that you can do to make your food taste great and still cut back on salt. Since so many pre= packaged and processed foods, canned veggies, cured meat and deli cold cuts contain salt it really is a good idea to find a way to make your taste buds happy. To much sodium can lead to high blood pressure or heart and kidney disease. Arthritis and hormonal conditions are also made worst. 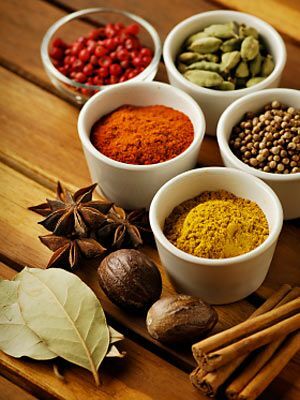 Using spices over salt will vary depending on the recipe, type of cuisine and personal taste buds. Savory flavors can be obtained by adding fresh onion and garlic or instead garlic or onion powder can be used. Black pepper can add interest to a dish or use some roated almonds, sesame seeds or crushed nuts. Squeeze lemon , lime or orange onto veggies or try some honey, brown sugar or jam to add sweetness. Dill (potatoes, tomatoes, fish and green beans). Oregano (tomatoes, chicken and green beans). Marjoram (soups, peas and summer squash). Crushing or rubbing herbs will offer the most flavor. Store parsley or cilantro in water to stay fresh. The American Optometic Association recommends children get their first eye exams starting at 6 months of age. Prior to this age it is fairly easy to tell if your child has any eye issues. Use a nightlight or dim lamp in your bany's room so that they can see. Changing th crib's positioning frequently as well as your babies position in the crib can help to tell if they can follow or not. At birth infants can detect light and motion. As they near the second month a baby can start to make eye contact and focus. A few months old they will be able to focus on smaller objects. The second stage would occur around 3 years of age naturally or sooner if peditrician thinks there may be an issue with the child's eyes. When you do visit the eye doctor at this young age you may want to remember to bring a few items. These items may include their favorite toy, snacks, if your child's eyes will be dialated do not forget to bring sunglasses for them. For the doctor you will want to make a list of any family history of eye probleems, any questions you may have as well as paper for you to write down needed information. Preheat oven to 325 degrees F. Grease an 8″x8″ glass pan or line with parchment paper. Set aside. In a medium bowl, whisk together the peanut butter, mashed banana, honey, vanilla, and cinnamon until smooth. Stir in the oats until the mixture is well-combined. Meanwhile, make the glaze. Whisk together the peanut butter, powdered sugar, milk, and honey in a small bowl until smooth. Drizzle the glaze over the cooled bars, then slice into squares. (Note: leftover glaze makes a stellar dip for apples, bananas, pretzels, etc.!) Store leftover bars in an airtight container at room temperature. 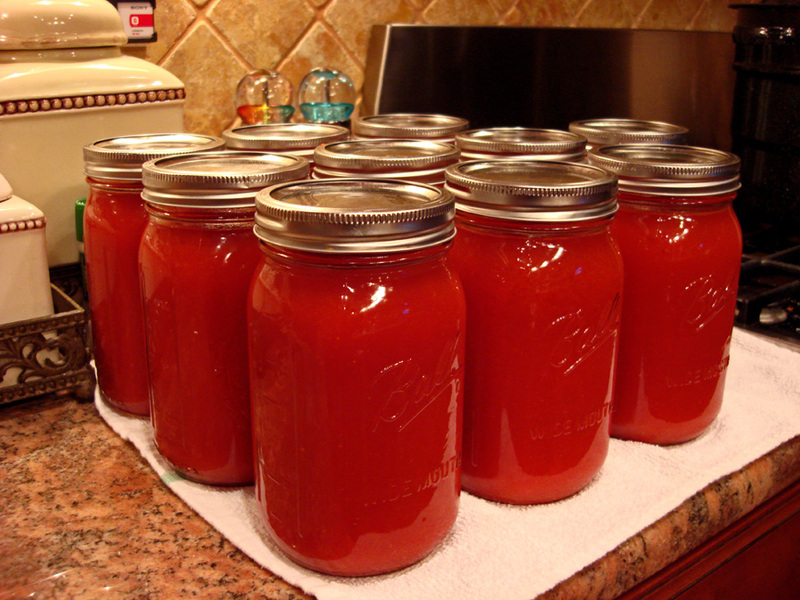 The basic ingredient for Tomato Vegetable Juices, is tomatoes, lots of them. One large onion, peeled and lightly chopped. 3-4 cloves of garlic, peeled and lightly chopped. 1-2 beets, cleaned, peeled and lightly chopped. Wash tomatoes, remove stem, and cut into quarters. Peeling is not necessary. The peel and seeds will be extracted in the strainer. Place cut up tomatoes into a 7 quart, or larger, cooking pot. Fill almost to the top. Cook on low heat. If making a vegetable juice, add any or all, additional vegetables. Cook until vegetables have softened. Strain off some of the water, which will rise to the top. Allow to cool slightly. Strain through a tomato strainer Add salt to taste. Put into the refrigerator for fresh juice. Or, can for winter consumption. Tip: The key to a thick tomato juice, is to strain away much of the water content. This can be done while cooking, before straining, and after the finished product has settled. Do you ever get tired of doing things because others say to?? We all normally have a routine where there are daily and timely chores to be done. Would you just love to be able to do what you want to do just because?? Well, you are in luck because today August 27 is Just Because Day. This is the day that you do not have to have a reason to do it and you can do it simply because. Today, get out there and do something you want to. You know that one thing that you have been wanting to do but you thought there was no logical reason to do it?? Then today, is the reason to get out there and try it. Have you been thinking of that "what if" term then go for it. Today, may be the day to make you happy as well as others in your life. Today, I will take the grandkids to the park, this is not a planned trip but one we will do just because. Perhaps it is the day that you want to take an unplanned trip. I plan to go visit a few of my loved ones as well. These are the days that they love as well as due to work and other life experiences we do not always get together. Is it time that you go visit someone you have not seen for a bit of time. Take a walk and look around your neighborhood. Does it look different than it did the time before?? I am like many and do not find the time to get out there and enjoy my neighbor chats. 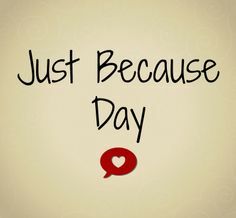 Exactly why it is a good thing to do on Just Because day. Do you know how much water you are using in your home?? Typical homes use water from everything from showers, cooking, laundry and more. This does not mention gardening or other forms of water that we use up. Many of us have been on the recycling bandwagon for some time. Did you also know that Water can be recycled. Agricultural and landscape irrigation, industrial processes, and toilet flushing are all ways to reuse water. Recycling water offers financial savings. Goat milk can be traced to the ancient Greek time period. The goat was domesticated around 5000 B.C. It was this time that goat cheese was a popular treat in the Mediterranean, Eastern Europe, Africa, South West Asia and India. The goat has always been a presence on the typical American farm since the early settlers. Goat cheese has become more popular during the last decade. 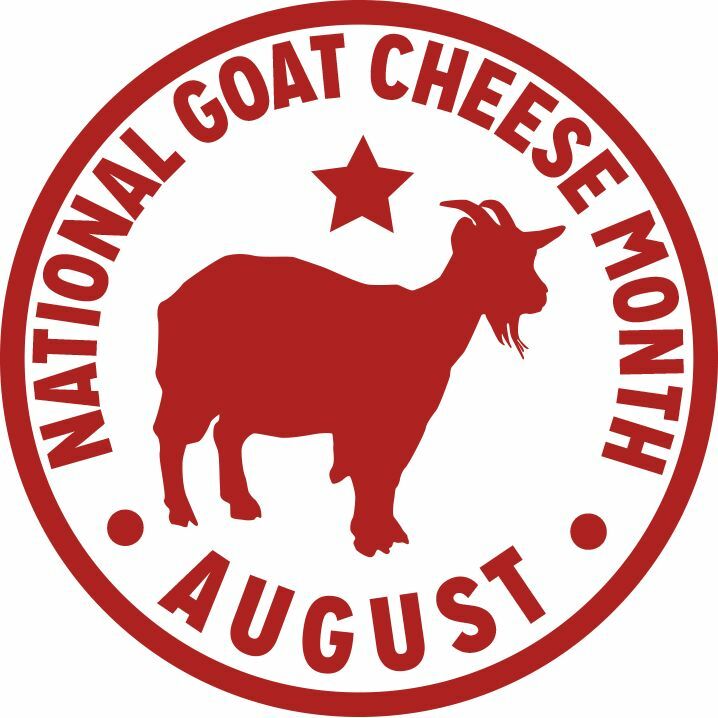 An enormous increase in consumer interest for domestic goat cheeses. There are currently over 50 producers in the United States. Goat cheese can be spicy, plain, subtle or fresh. Goat cheese is not as popular as cows milk but very close. Goat cheese also reflects the area that it is produced in. Remove goat cheese from protective packaging and soften to room temperature. 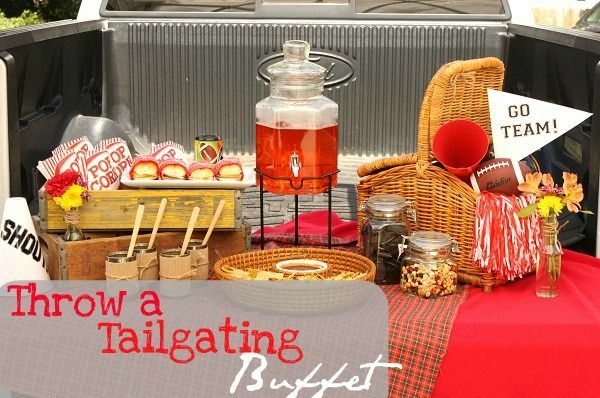 Spread fresh preserves on a cheese tray or serving platter. Place your almonds in a bag or between two sheets of paper towel and crush using a blunt object, like a glass olive oil bottle. Next chop your apricots and mix together along with parsley. Roll your goat cheese in the mixture, pressing gently to coat. 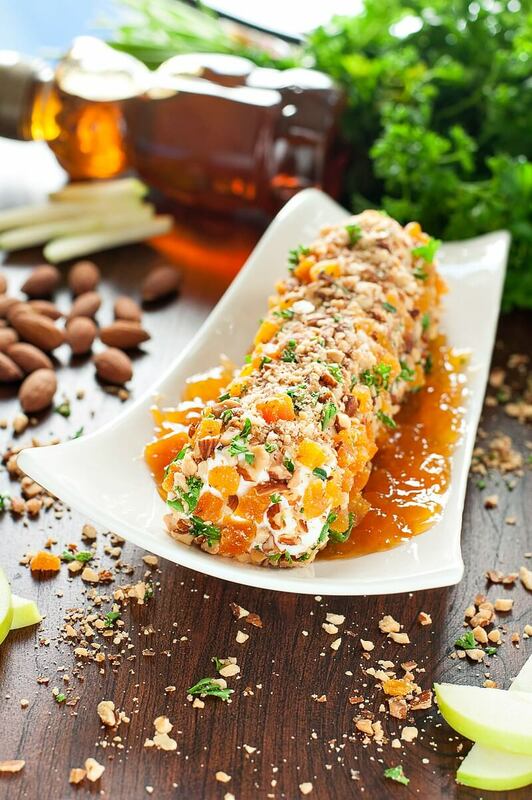 Set the goat cheese log atop the preserves and surround with crackers and fresh fruit. Finish it off with a hearty drizzle of honey + you're good to go! behind during the month of August. children who need them. Everybody wins!